A month or two back I saw where someone had smoked a chuck roast and turned it into pulled beef. It looked awesome, so I thought I would try. 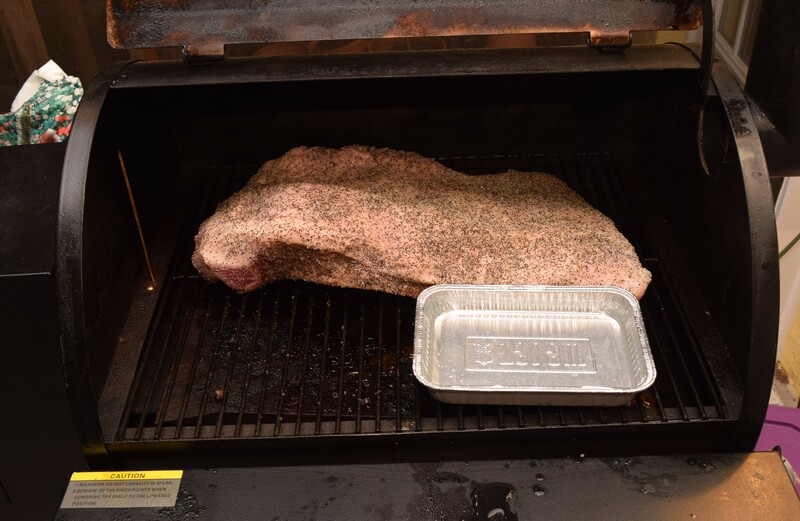 This gave me a great chance to use my bag of pecan smoker pellets. 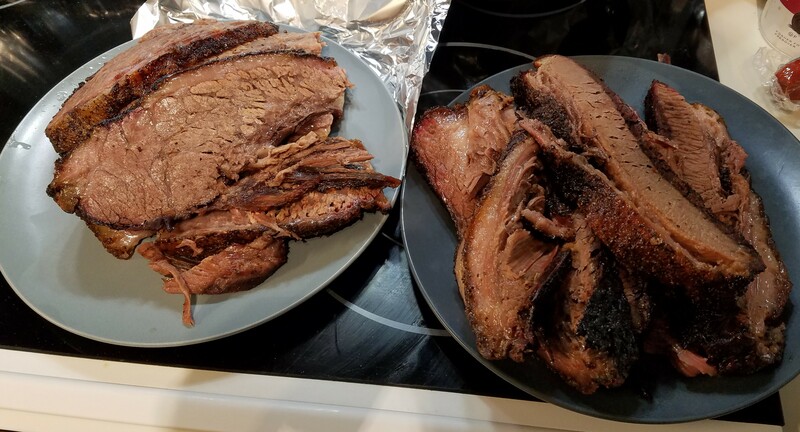 I cut two roasts in half to give extra bark and to make the process go faster. 6 hours later they had quite the mahogany finish. I waited for them to get to a good 200-210 depending on the size. I wrapped them in foil and stuck them in a cooler for a few hours till dinner. I was going for pulled beef but ended up a little dry. Next time I will wrap when I get the color I want. 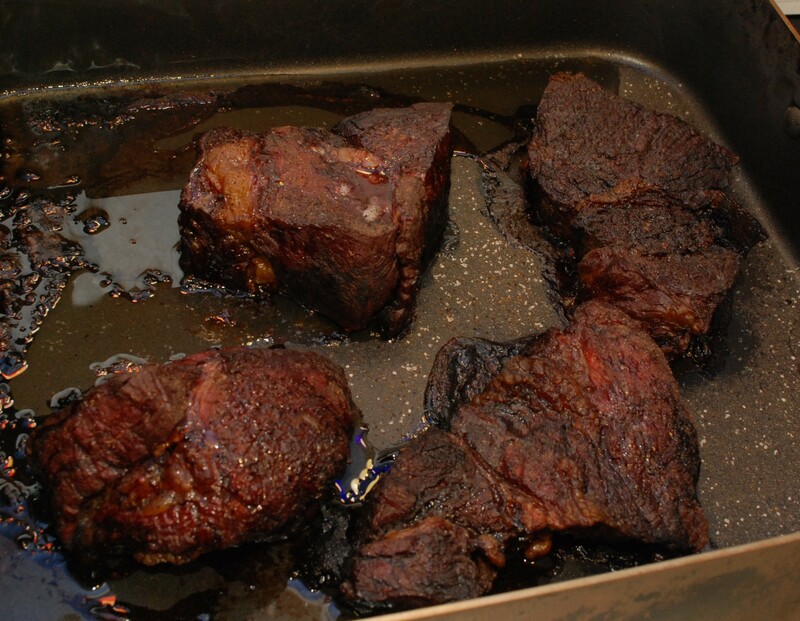 It holds true for pork butts, and it seems to hold true for chuck roast. I love Thanksgiving, but always end up spending it at someone else’s house. I like all of my family’s cooking, but I am passionate about good turkey! That and I typically don’t get any leftovers. Let the turkey-strava-ganza begin! There will also be mashed potatoes, stuffing, gravy, cornbread, and green bean casserole. In the past I have smoked a turkey, I have brined a turkey, but I have never smoked a brined turkey… today is that day! I picked up a 20lb bird from the grocery store after thanksgiving. I don’t go fancy, just store brand. 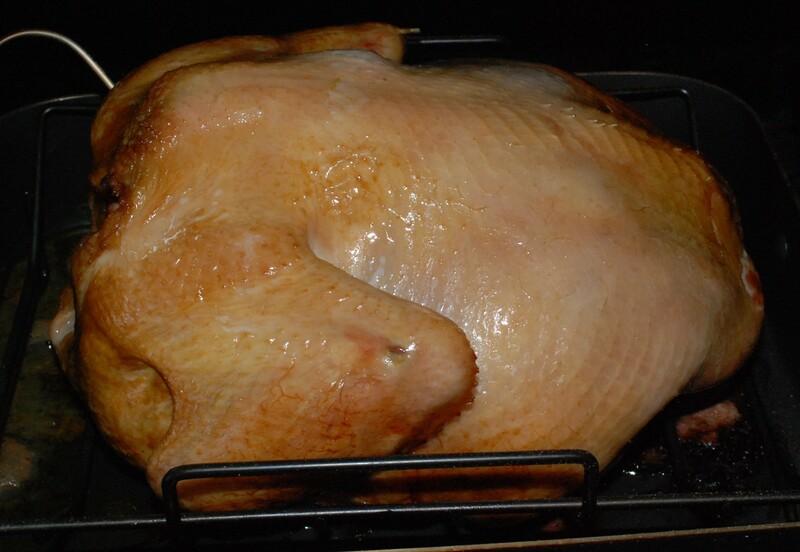 Some people recommend doing smaller birds because they cook faster and more evenly. I say hogwash, because If I am going through all this work, I want a lot of leftovers. Maybe I should do two small ones next time. I moved the turkey from freezer to fridge a few days before hand so It could start the thaw. The night before I pulled it out and still had slightly frozen bits in the center. The good news with brining is that soaking it in salt water should really help ensure that no part is frozen. I used a really basic recipe because I wanted most of the flavor to come from the smoke. That is all it takes to make a basic brine. Warm water can help ensure the sugar is all dissolved. 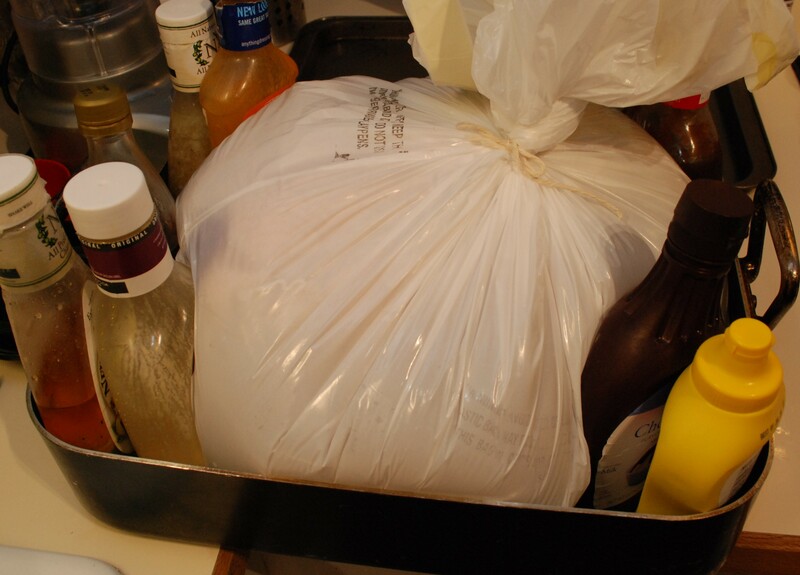 Once I cleaned up the turkey, I placed him in a set of double trash bags. I don’t have a good container, or any other suitable bags. Improvise! With the turkey in, I poured in about 1-1/2 gallons of brine. I put the whole thing in a roasting pan for easy transport. The bag was too big and sagged out all over the place. A little more improvising shored it up with condiment containers to keep the brine level at the top of the turkey. Back into the fridge till tomorrow. Good morning turkey, today is your big day! I pulled him out and gave a quick rinse. I put the grate in my roasting pan and placed him breast down. I have done it breast up and down, and I think down is a little better. 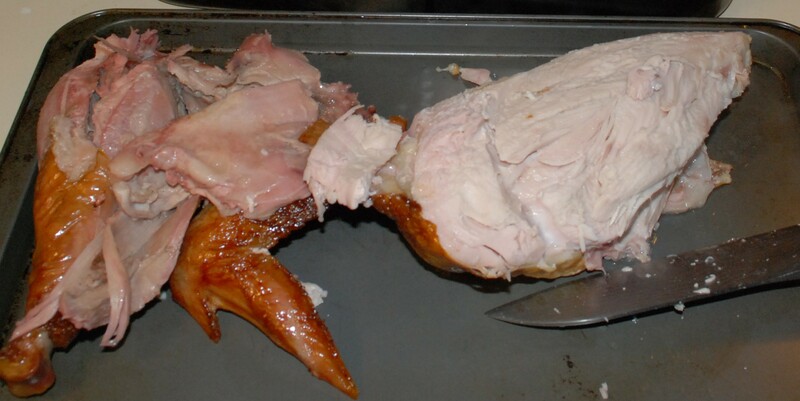 It lets the dark meat juices flow downhill into the breast. I then give it a little rub of vegetable oil and make it a tent. Take two pieces of foil on top of each other and fold the top edge over a few times. This makes a large sheet of foil easily without buying that wide foil. Drape this over the bird and insert a meat probe into the breast. My philosophy is to try to cook/steam it most of the time, then pull the tent off near the end for a golden color. Here it is most of the way through when I pulled the tent off. 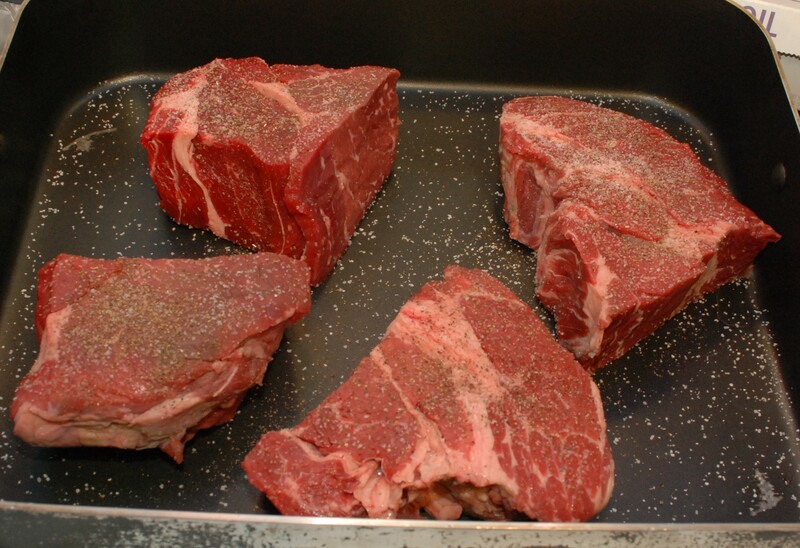 A wireless meat thermometer monitors the meat and grill temperature. My traegar uses wood pellets to generate heat and smoke and sometimes puts itself out. Being able to watch both on the couch is pretty awesome! 9.5 hours later the desired temperature was reached. It looks golden brown and delicious. Let it rest for a good 45 minutes while everything else took a trip through the oven. Once I couldn’t take it anymore I flipped it over and started to carve. Gorgeous!!! 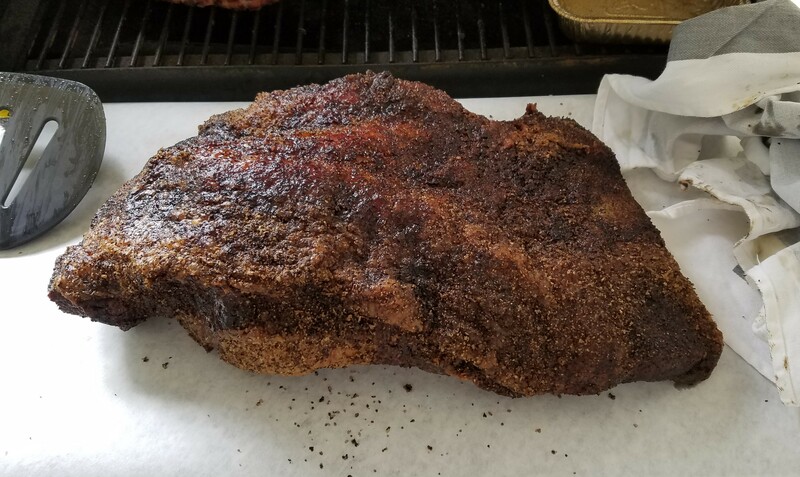 Everything had a nice smoke ring and looks really good. The flavor was amazing. 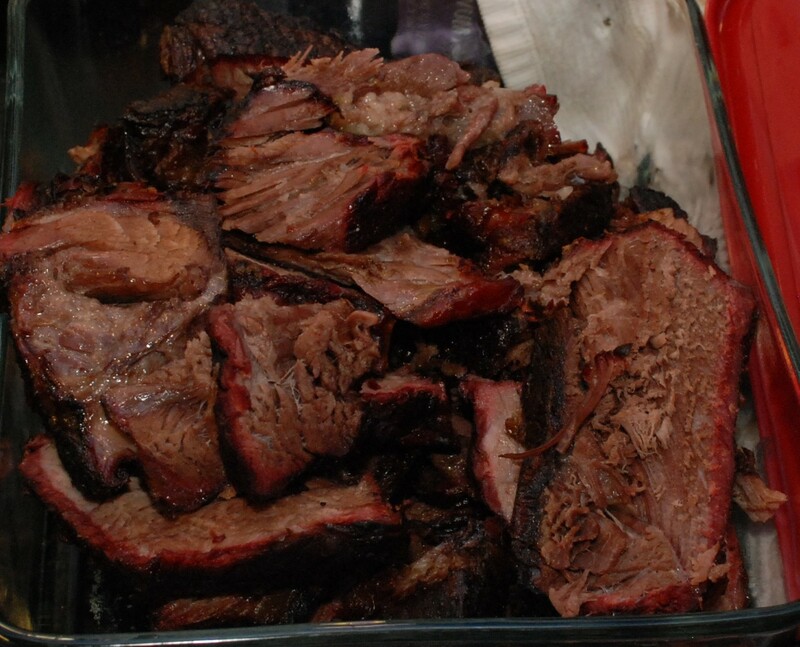 A light smoke flavor (I used apple so the smoke wouldn’t be overpowering) was present throughout the meat. Everything was tender and super juicy. 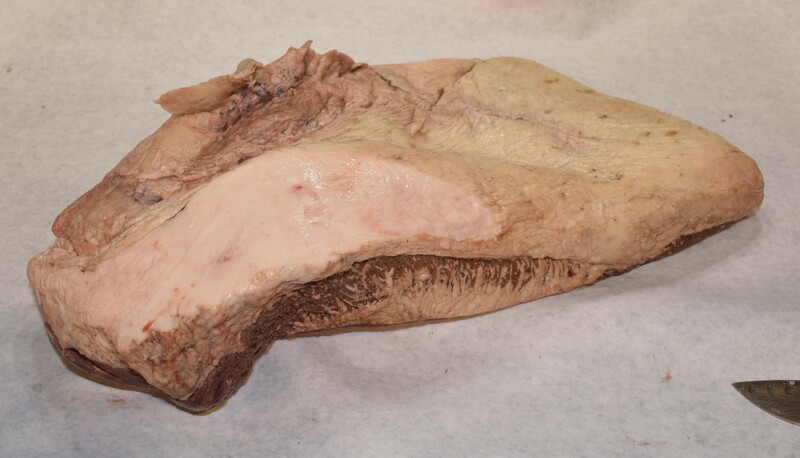 No dry turkey meat here, just some of the very best turkey breast I have tasted. Gravy is only an option if you really like gravy. Totally worth the whole day of babysitting and waiting. Up next, turkey stock from my freshly smoked turkey!